Dr. Netter joined Dann Dorfman Herrell and Skillman in 2002. He has experience in all areas of chemical and life science patent law including biochemical, pharmaceutical, oncology, immunology, agriculture, genomics, virology, and all other cellular and molecular biology related fields. Dr. Netter is primarily involved in the preparation and prosecution of patent applications in the United States and throughout the world. His clients include small to mid-sized biotechnology companies and universities across the United States and abroad. In addition to patent procurement, Dr. Netter is experienced in providing patentability, freedom-to-operate, infringement, and invalidity opinions. Dr. Netter is also skilled at assisting his clients with management of their intellectual property portfolio and providing strategic guidance. Dr. Netter earned a B.S. in Biochemistry with Honors from Pennsylvania State University in 1997 and a Ph.D. in Cell and Molecular Biology from University of Pennsylvania in 2002. He received his J.D. from Temple University School of Law in 2007. Dr. Netter is admitted to practice in both Pennsylvania and New Jersey and has been registered to practice before the U.S. Patent and Trademark Office since 2005. 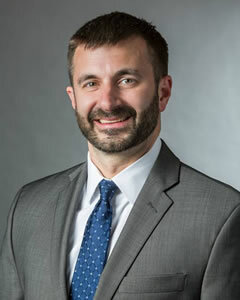 He is a member of the Pennsylvania and American Bar Associations, the American and Philadelphia Intellectual Property Law Associations and the Association of University Technology Managers (AUTM).